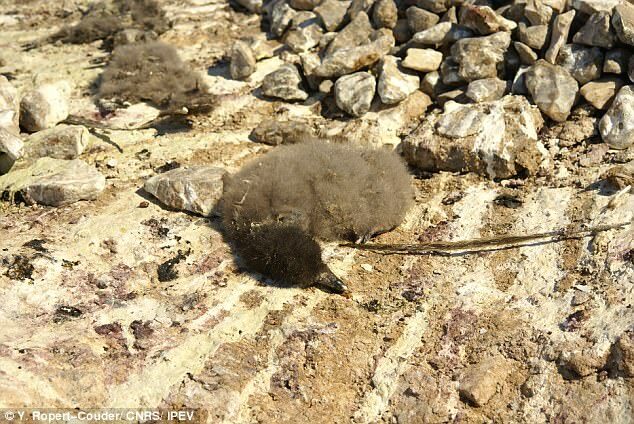 Thousands of tiny baby penguins starve to death due to changing weather | Do You Know? Thousands of little baby penguins starved following shifting weather pressured their mother and father to trudge across Antarctica in research of food stuff amid the shifting climate. Scientists studying a colony of more than 18,000 pairs of Adelie penguins in the French Antarctic territory, Adelie Land, discovered only two chicks had survived at the start of 2017. The rest of the chicks had starved. 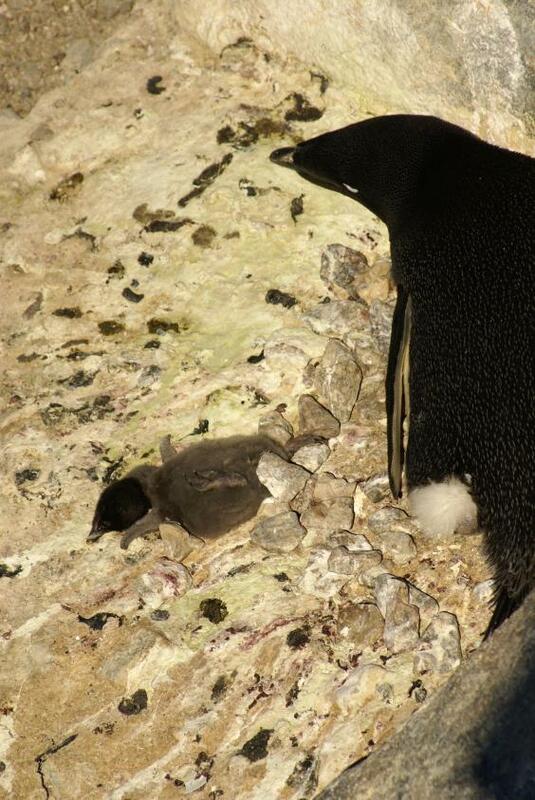 "The chicks are undernourished, so they are really weak, and they can be starving to death if the parents don't come back with food for them," penguin scientist Yan Ropert-Coudert said. He said unusually extensive sea ice late in the summer caused problems. 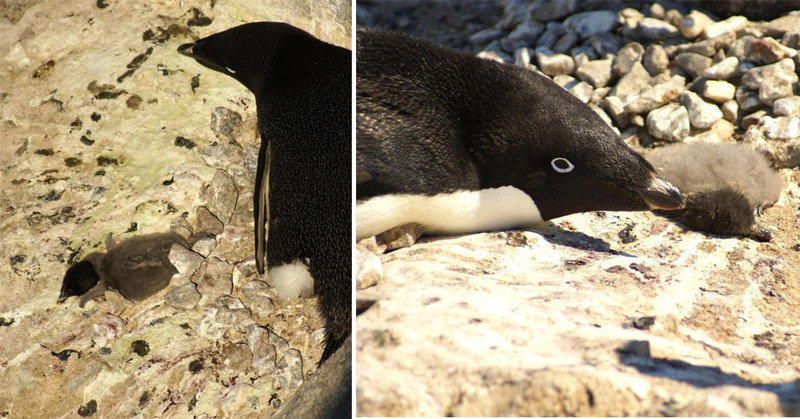 "The birds have to travel much further in difficult conditions to find food for the chicks," Dr Ropert-Coudert said. Dr Ropert-Coudert leads the Adelie penguin program at Dumont D'Urville research station, adjacent to the colony. He said it was the second time the colony had suffered the loss of thousands of chicks following a catastrophic breeding event four years ago. "The original culprit was when the Mertz glacier was hit by the B9B iceberg in 2010, which has profoundly changed the area in front of Dumont D'Urville. The long-term impact is difficult for scientists to predict. "But it's not every year, that's the important message," he said. "There are years where all the conditions are set for this to happen, and there are years when it still will be okay." 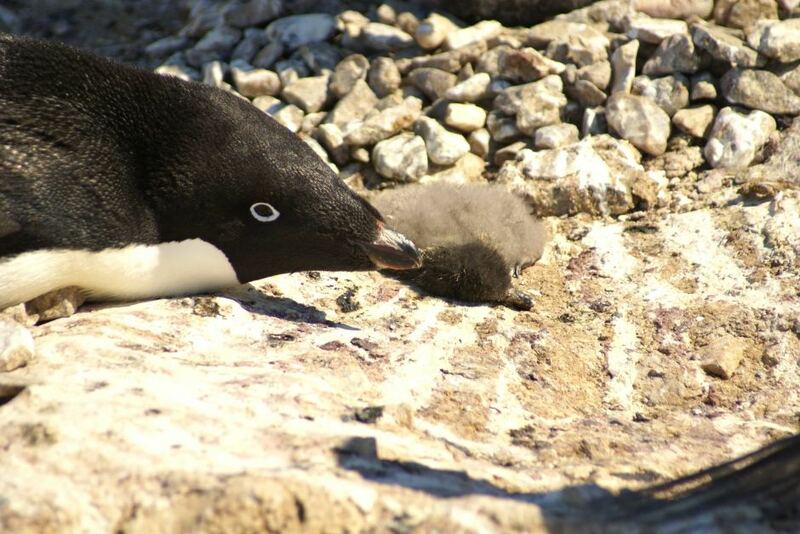 The discovery of the penguin chick deaths has prompted renewed calls for more marine protected areas in Antarctic waters. The penguins are known as one of the hardiest creatures on the Earth. But they are feeling the horrifying effects of global warming, with campaigners warning that the event should force people to take notice of their problems. Though Adélie penguins are generally doing well in East Antarctica, where they mostly eat krill, a small shrimp like crustacean. 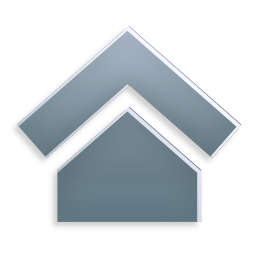 But they are declining in the peninsula, where the effects of climate change are already being felt. Four years ago, the same colony had another, similar catastrophic shock. It consisted of 20,196 pairs then – and not a single one was able to produce a chick. That time around, unusual amounts of sea ice combined with warm weather and rain, before a rapid drop in temperature. Many of the chicks became saturated and froze to death. "Adélie penguins are one of the hardiest and most amazing animals on our planet," said Rod Downie, head of polar programmes at WWF. "This devastating event contrasts with the Disney image that many people might have of penguins. It’s more like ‘Tarantino does Happy Feet’, with dead penguin chicks strewn across a beach in Adélie Land. "The risk of opening up this area to exploratory krill fisheries, which would compete with the Adelie penguins for food as they recover from two catastrophic breeding failures in four years, is unthinkable," WWF's Rod Downie said. "So CCAMLR needs to act now by adopting a new marine protected area (MPA) for the waters off east Antarctica, to protect the home of the penguins." A proposal for an MPA in east Antarctica, led by Australia and France, has been considered at the annual CCAMLR meeting for the past eight years, with no agreement reached so far.